Voice-activated technology is booming and AI assistants are taking the digital landscape by storm. If you’re not already optimising your website for voice search, then it’s fair to say you’ve got some catching up to do. But don’t panic, in this guide we’ll look at how people are using voice search and offer some useful tips on how you can factor it into your overall search strategy. Voice-activated technology is booming and AI assistants are taking the digital landscape by storm – what a time to be alive! One undeniable catalyst for the increase in voice search is the advancement of smart speakers. Although smart phones originally housed voice-activated technology, in the current digital climate it’s increasingly harnessed through the use of digital assistants and smart speakers. It should come as no surprise that the key industry players include the likes of Apple’s Siri, Microsoft’s Cortana, Amazon’s Alexa, and the Google Assistant. The rapid growth of this technology should be a clear sign that voice search is only going to become more popular as time progresses. In many cases, it provides an easier, faster alternative to text searches – and we all know that speed and ease are what users want. 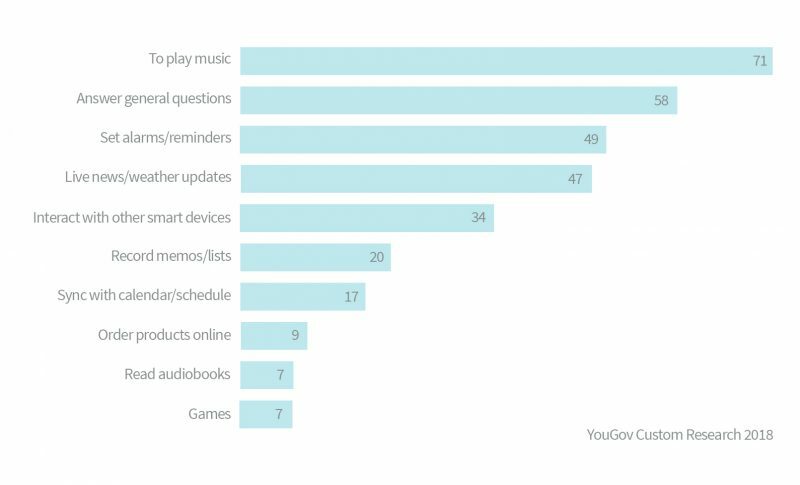 Global data company YouGov conducted a study to determine how smart speaker owners use their devices. As you can see, after playing music, the most popular use of the technology is for asking general questions. This means that you need to start factoring voice search queries into your content – but more on that later! For now, let’s look at the importance of identifying user intent behind voice search queries in order to serve relevant, valuable content. For the most part, it should be relatively easy to understand what a user is hoping to get from their search term, especially as voice search allows for more natural, conversational keywords (more on that soon). But for the times when intent is less clear, put yourself in the user’s shoes and ask yourself what you’d be hoping to find if you searched for that term. The bottom line is that if you don’t understand your customer, your advertising attempts – no matter how calculated – will fail. In recent years, algorithms behind search engines have evolved to cater to how people search – your search optimisation strategy needs to evolve in the same way. In 2013, the Google Hummingbird update changed the landscape of search and laid the foundation for the rise of voice search. Human search: synonyms and theme-related information became factors in the way that Google processes a query. Natural language processing: Users became able to submit a query in the same way they’d ask it in a normal conversation, and still get a relevant answer. You need to understand what users want. You need to show Google that you understand what users want. So now we know that asking questions is the second most popular use of voice search technology, we can start to get ahead of the curve. When it comes to figuring out the types of questions consumers might want answers to, making use of Google’s Autocomplete function is a good place to start. This tool is great for identifying commonly used long-tail keywords and phrases. Answer the Public is a handy tool that combines both Google’s and Bing’s suggested searches, and shows you them in organised question categories. This will help you understand your audience, target your keyword research, and optimise for long-tail phrases. 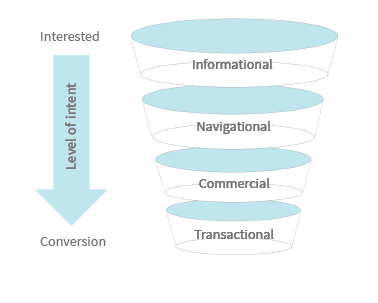 User intent funnels are a great way to understand where a user is in the customer journey. The content you create needs to match the specific stages of intent gleaned from the query itself. Establish intent by matching the search query to one of the following categories: informational, navigational, commercial, or transactional. The addition of interrogative words in a user’s search query gives you a better idea of what mindset they’re in, which will help you develop relevant content to move them further down the funnel towards a conversion. So, now that we’ve covered the basics of Google’s search algorithm and user intent, the next step is actively optimising your content for voice search. When we use voice search, we unconsciously change our syntax. A spoken query is usually a lot more natural and conversational than a typed query, it’s also more likely to be in the form of a question and begin with interrogative words like ‘where’ or ‘how’. This means that your content needs to be as natural and conversational as possible. Write for your audience, not for the search engine. Remember that people don’t want a polished sales pitch full of buzzwords, they want a clear and concise answer to their question. As you can see, there are varying opinions about the optimal length of content for SEO. The thing is, nobody really knows the ideal amount – the above quotes are educated guesses, but they’re still guesses. Our advice is to take a quality-first approach when it comes to content length, if you’re rambling on just to hit a word count, the quality of your page will suffer. Similarly, if you opt for more short-form content, make sure it covers everything it needs to cover in order to be valuable. Take a logical outlook, optimise for keywords, build links, and match your content to what you’d expect to see as a user. Optimising content for voice search means utilising super-targeted phrases, AKA: long-tail keywords. Standard keywords are a great representation of how we type, but they don’t reflect the way we talk. This is where your user intent research comes in. The popular questions you identified previously will give you ideas for long-tail keywords. When you’ve made your list of possibilities, check the average monthly search volume for each and then crack on with creating your relevant, targeted content. Don’t forget to align your content with specific stages of intent. Targeting and bidding on long-tail keywords will bring in a higher amount of relevant traffic and lead to a higher conversion rate as a result. Not only that, but the more specific your keywords are, the more distance you put between you and your competitors. 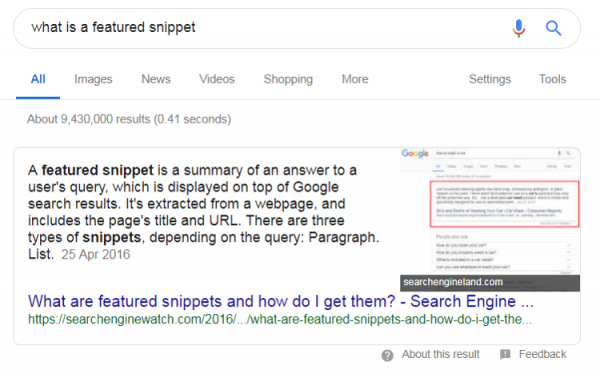 The featured snippet (AKA ‘position zero’) is usually read aloud by the device in question’s digital assistant, meaning it’s much less likely for a user to scroll through results or even to read the screen! Don’t just focus on copy alone, there are some queries where a user is likely expecting an accompanying visual result, like a video, image, or graph. So make sure you think about the best way to present information in accordance with user expectation. Schema is Google’s preferred markup method because it allows the search engine’s bots to easily crawl and understand a page’s contents and context. 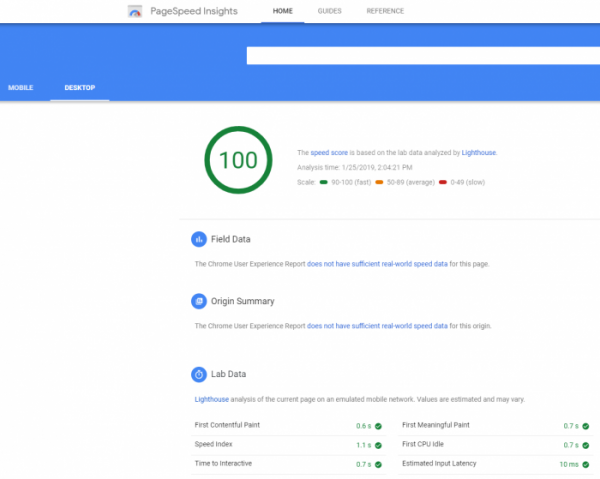 Structured data allows for easier identification of your page’s relevance and gives you a better chance of ranking in one of the top spots, if not the featured snippet itself. Implementing an FAQ section to your website is a fantastic way to compete for the featured snippet, as FAQs are a prime example of self-contained answers to specific questions. However, don’t limit yourself to FAQs, Q&A style content can be worked into blog posts, product pages, even meta data – so be creative. When people use voice search on their mobiles, they’re often looking for some kind of local information or service. Case in point, according to research carried out by BrightLocal, the top 3 functions most sought with voice search involve: finding restaurants, finding grocery stores, and food delivery. If you’re a restaurant owner and people are voice searching “best restaurants near me”, you want your establishment in amongst the top results. 3 main factors that will help to determine your success in this pursuit are: location, engagement, and quality. Use ‘near me’ in anchor text, title tags, and meta descriptions. Include names of local landmarks and sights in your website copy, as well as any other relevant area descriptions. Well-rounded voice search optimisation still needs to incorporate traditional SEO strategies for optimal success. The higher your page ranks, the more likely it is to be selected as the featured snippet response to the related query. Mobile optimisation: Voice search is almost exclusively used on mobiles and we’re all aware of Google’s mobile-first indexing. It can’t be stressed enough how essential it is for your site to be fully optimised for mobile. Site speed: The fact of the matter is that many people using voice search are on the go, probably in a rush, and want a quick result. Therefore the faster your site speed, the better. Domain authority: Make sure your domain authority is solid – if it’s not then beef it up with more links, better content, and broader social sharing. Given how the utilisation of voice search has skyrocketed in a relatively short period of time, the logical thing to do is to assume that this technology will only become more advanced and evolved with the passage of time. 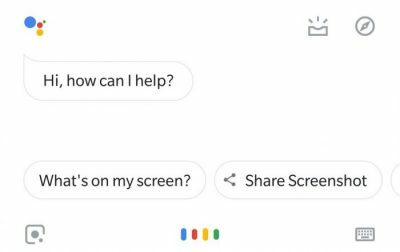 It’s been suggested many times in recent years that there may come a time in the not too distant future when screens are an obsolete aspect of search. Is that likely? Is it logical? What about browsing? What about visual inspection? We don’t know the answers to any of these questions, but it’s important to consider them – keeping up with technology and looking ahead is an undisputed necessity, particularly in the digital industry. What about paid voice search? According to Google’s research, the want/need for spoken ads exists, and that means you need to start considering how you might adapt your approach to ads when users start interacting with them differently. Ecommerce giant Amazon are reportedly already testing voice-triggered audio search ads on Alexa-powered Echo devices and many people are hailing Alexa as “the Google of virtual assistants”. One very apparent objection to paid voice ads is the detrimental affect it could have on UX. 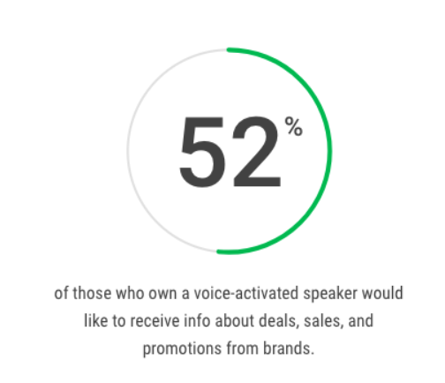 If we assume that many people using voice search are in a rush and need quick answers, how might they react when an audible ad is interjected into their search experience? What’s more, giving a voice to your brand comes with its own set of important conundrums– how will your brand sound? Will the voice of your business be colloquial or formal? Will it have an accent? The bottom line is that if you’re not already thinking about these things, you risk being left behind. Take the necessary steps to research and understand user intent, and how best to serve it. Always consider voice search optimisation when developing content, not just as an afterthought. Make your content as natural and conversational as possible – write for humans, not the search engine. Use Schema markup to improve your site’s crawlability and indexability. Don’t neglect traditional methods of SEO optimisation. 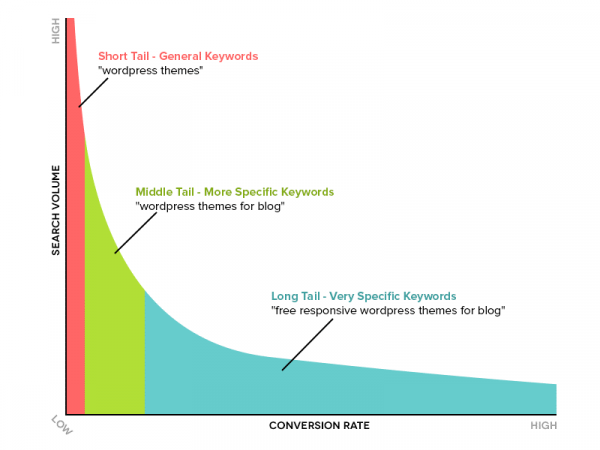 Brainstorm relevant long-tail keywords for more relevant traffic and a higher conversion rate. Keep optimising content for local search – make your Google My Business page really work for you. Keep an eye on the progression of voice technology, consider the future and prepare for more changes! If you need help finding your voice, or if you’re looking for support with search optimisation in general, we can help. Our team of friendly marketing experts can help you boost your online presence and achieve outstanding results. To speak to someone about your SEO needs, get in touch today! You can also check out our Search Marketing guide to learn about implementing different types of search strategies in this ever-evolving digital landscape.